Engaging in an internship in Australia can raise a lot of questions. That's why we have made a list of questions that come in frequently. Can't find your question here, please contact us. We have no requirements with regards to nationality. Click here for an overview of general eligibility requirements for the internship in Australia program. Please see our Internship in Australia price list..
After we have reviewed your documents and are convinced that we can place you in Australia, we require a deposit. This deposit is to ensure we are dealing with an applicant that isn't playing around. Can you arrange for me internship housing in Australia? Yes, we can. See the page internship housing in Australia for the options. Why should I take a English in Australia? Do I have to take language training to do an internship in Australia? 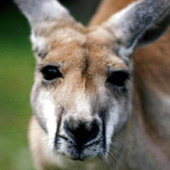 Be prepared for your internship in Australia ... Find tips and info here.